tonight I'm working on a bottle of 337. 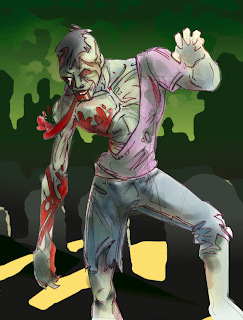 And this zombie colorizing. I did learn a few new tricks. Most of these are purely practice runs. Input is welcome!! And art suggestions.